One of the many bizarre and disturbing early moves of the Trump Administration was to reconfigure policy priorities on terrorism, focusing on Muslims (who commit a very small percentage of terrorism in the United States) and specifically excluding white supremacists (who commit the bulk of the terrorism in the United States). That was a very deliberate and calculated decision, especially when it was paired with an insistence that the media ‘don’t cover’ terrorist attacks and a list of examples — all of which had been extremely thoroughly discussed in the media. Those examples notably excluded several acts of white supremacist violence, and they also pointedly didn’t include clinic violence. I’ve written before about how clinic violence is terrorism, and the Obama Administration clearly had an interest in investigating domestic terrorism that originates with homegrown extremists. It’s clear the Trump Administration doesn’t care, and in fact, may even be tacitly condoning it by explicitly refusing to code it as terrorism. The National Abortion Federation has been charting clinic violence since 1977, and they’ve found disturbing trends. Abortion providers in the United States are still killed for providing health care services, as are support staff who aren’t even involved in abortions, like clinic receptionists. Providers are still deluged in death threats and harassment. The number of people able to offer abortions is shrinking thanks to TRAP laws, and to a growing shortage in trained providers — medical schools sometimes don’t even offer abortion training to students who are interested in learning the latest evidence-based techniques in abortion care. Abortion is politicised to an extreme degree in the United States, and state by state pursuit of anti-choice violence has aways been variable, right down to the laws surrounding protections for abortion providers. 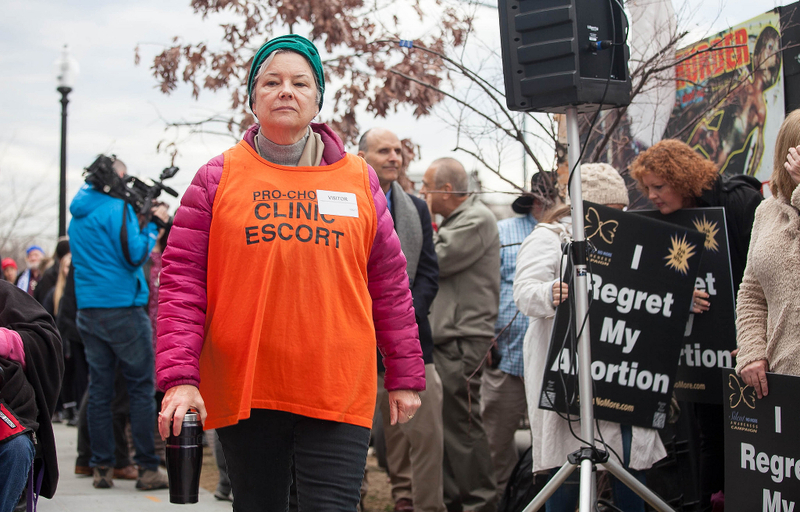 Some states have robust clinic buffer zones, for example, designed to keep anti-choicers from trespassing onto the grounds of clinics to harass patients and providers or use surveillance to develop lists of targets. Others do not. Some law enforcement agencies robustly defend the safety of abortion providers and support staff. Others do not. The steadfast refusal to recognise clinic violence as an act of terrorism is illustrative of the political climate in the United States. It is very clearly blatantly terrorism, designed to pressure people into not providing a service, mounting an ideological challenge to people’s lives and experiences, shaming people who need that service. The goal of anti-choice terrorism is to make it impossible for people to legally and safely access abortion. If people were mobbing churches attended by middle class whites to block the entrances, throwing firebombs through the windows, committing arson and cheering about it, waving signs about how Christianity is vile and priests should be killed, the federal government would be furious and it would be raining fire down on these domestic terrorists. If people were storming banks to slaughter executives, arguing that profiteering is immoral and they’re doing society a service, the federal government would be sending in reinforcements. But the only churches that get attacked are Black churches, and their attackers are assaulting them because they are racists, so the federal government doesn’t care. And the only businesses that get attacked are abortion clinics, so the federal government doesn’t care. It doesn’t care so much that it explicitly delisted white, homegrown extremists from its terrorism priorities, thus signaling that it refuses to recognise this as terrorism, and effectively granting people a license to proceed with violence. When you get the signal that violence isn’t violence and doesn’t carry consequences, that’s a real incentive to escalate the level of violence you’re engaging in. Because you see that there are no penalties, and the government clearly doesn’t care what you do. In fact, lawmakers and some law enforcement are even quietly cheering you on, using extremist anti-choice rhetoric in speeches and public appearances and thus very clearly connecting their approval to whatever you are doing. Meanwhile, the people you are trying to terrorise and demoralise are especially dispirited and disheartened by the fact that no one is recognising what is happening to them as violence. They get the message loud and clear too, that they are on their own and their experiences don’t matter to the federal government — that even as they have to wear bulletproof vests to work and repeatedly move to avoid harassment and lose colleagues who have to quit for their own safety, this is apparently just the cost of doing business. This is totally fine and normal. The people who are turning their lives into a living hell aren’t terrorists, they’re just…what? What are they, exactly? Terrorism is a crime that carries a different weight for a reason. It’s not just violence, but a very specific kind of violence designed to tear at the very structure of society, and intended to deconstruct values and make it impossible for people to function. Thus, the word ‘terrorism’ carries particularly clear and chilling implications, and it comes with more severe consequences on the legal side as well, since this isn’t simply a question of whether you have, for example, shot an abortion provider to death in church. It’s also a question of whether by doing so, you are hoping to impose your ideological beliefs on a group of people whom you think shouldn’t exist. I see the feds screeching about ‘radical Islamic terrorism’ but I don’t see oogity boogity Muslims creeping around in the streets trying to destroy the American way. I do, however, see virulently anti-choice people attacking abortion providers in an attempt to shut down abortion services. I ain’t afraid of no Muslims — I’m terrified to death of terrorists, though, and it troubles me that the government doesn’t share my interest in identifying them.